Last month, while the sports world was reveling in March Madness, entrepreneurs were tuning in to Inc. magazine’s Coolest College Startup competition to see which of 16 ventures would win the 2017 title. This year, Colgate was the only university represented twice on the brackets — and both ventures made it to the third round of the competition, thanks to votes from the public: Trippie, the airport-guidebook app launched by Ryan Diew ’17 and Samantha Braver, and swimwear company Fair Harbor, founded by Jake ’16 and Caroline ’19 Danehy. Thought into Action pairs alumni and parent mentors with student entrepreneurs, providing the guidance and encouragement that undergraduates need to identify and overcome problems through new business start-ups. 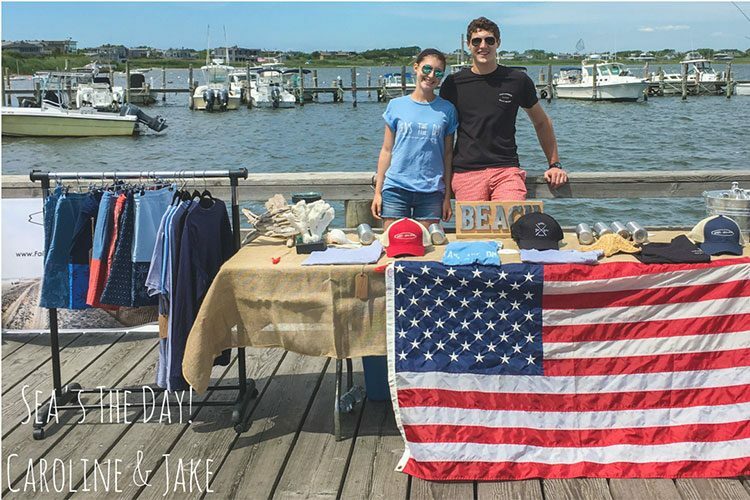 Fair Harbor and Trippie have also earned venture funding during the university’s Entrepreneur Weekend Shark Tank pitch competitions. Trippie has logged nearly 500 downloads on Apple’s app store. Diew and Braver are preparing additional airport layouts and other features for future releases. Inc. solicited entries for its Coolest College Startups competition in December of last year and received nearly 100 applications. The magazine judged companies based on concept, growth potential, and the quality of the pitch. Whittling the list down to 16, they launched their website and opened voting to the public, which cast thousands of votes for Colgate’s twin ventures.